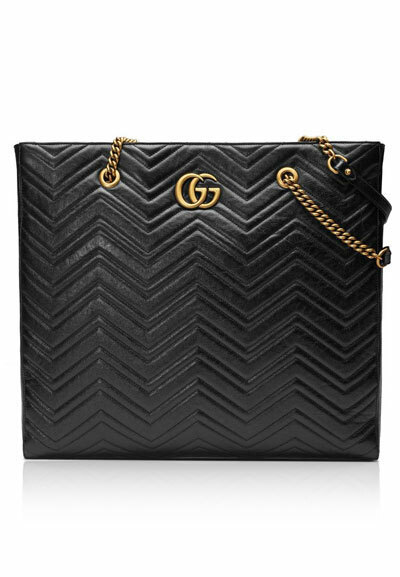 If you are looking for a minimally designed tote with a noticeable designer touch, you can’t go wrong with these new Gucci totes. 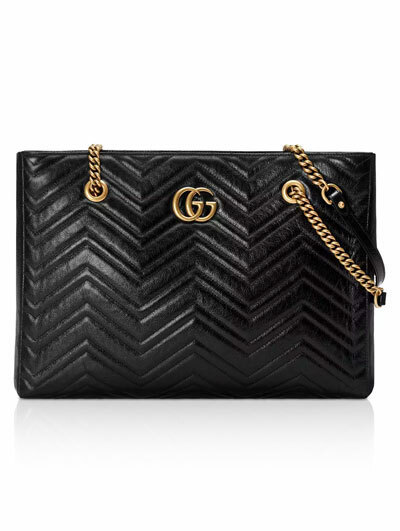 The bag has the iconic GG Marmont logo and is structured with clean-cut lines. 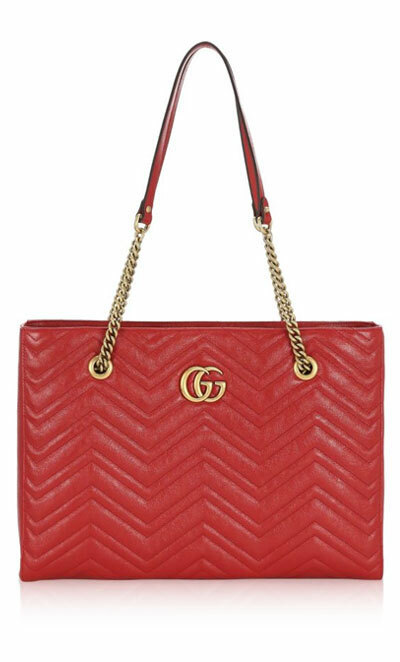 Finally, the matching chains add an extra luxurious touch, perfect for work.